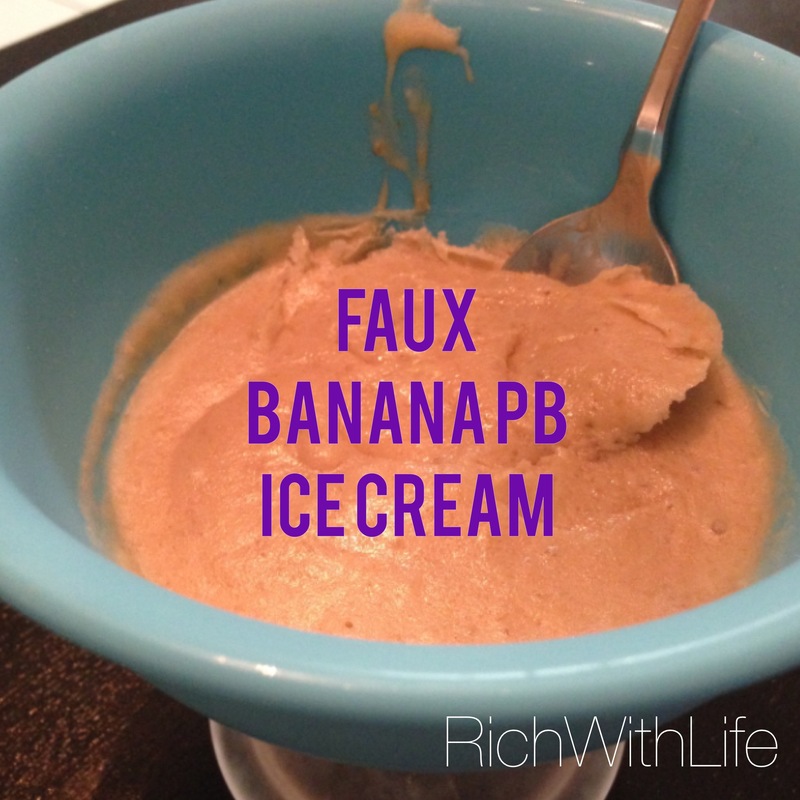 Faux ice cream – not the animal, the unreal kind, because this is totally Un. Real. I love those recipes, that you can text to your friend in under 160 characters. Or tweet in less than 140. AND send a picture! You know those recipes? cut up and freeze in plastic bag, tupperware, or cookie sheet. 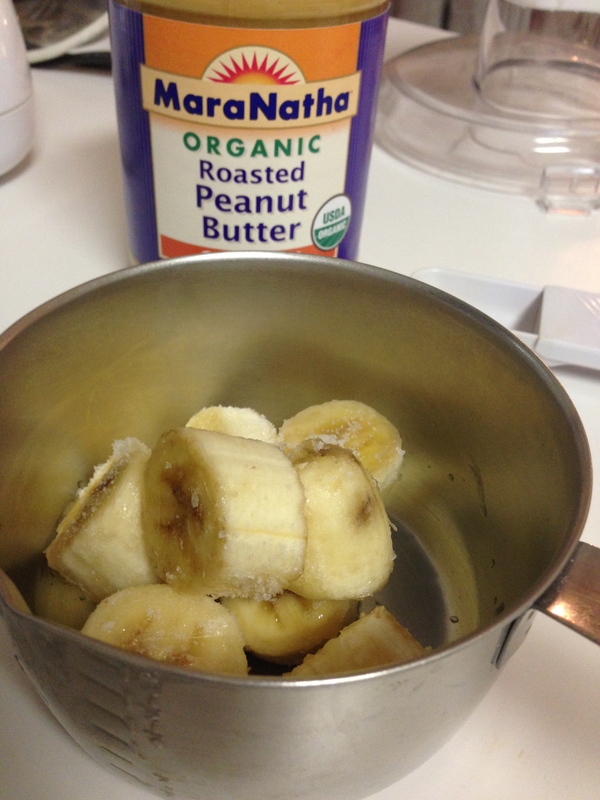 Take bananas straight from freezer to food processor. It will take some time to chop them up and you may have to stop and stir, depending on your blender or processor, but eventually it will get there. Scrape sides as you go along. 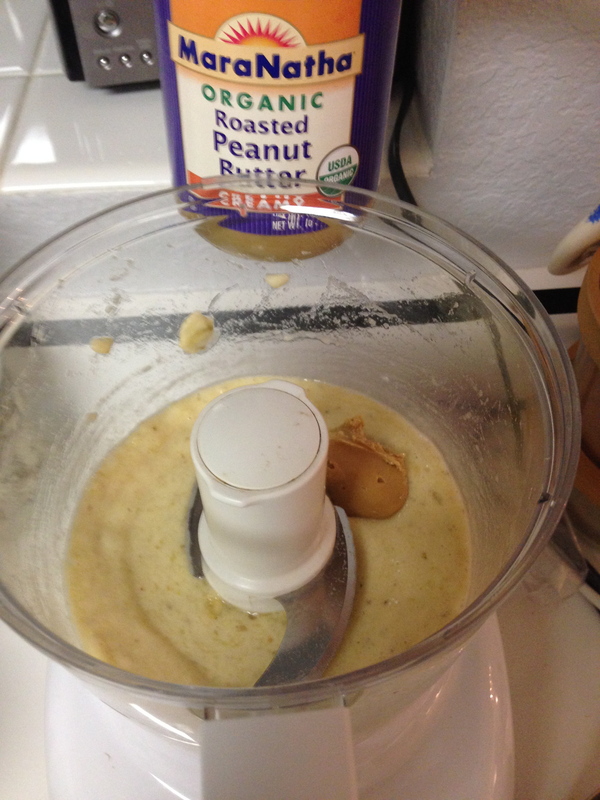 Once nearly smooth, add peanut butter and blend until mixed and smooth. Enjoy! Note: you must eat this fairly soon for it to be thick and ice-cream like. Otherwise, it will melt. 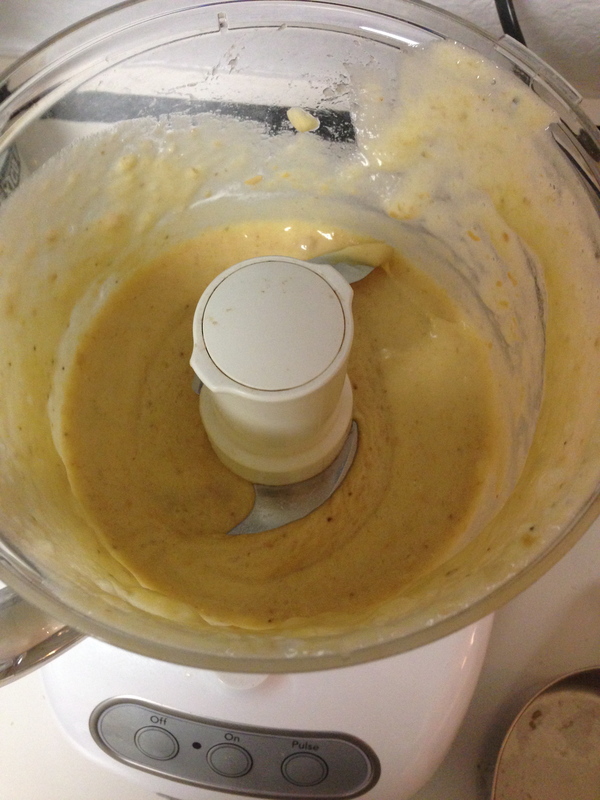 *It’s recommended you use thoroughly frozen bananas (at least 2 hours) but I was impatient the day I made these so it didn’t come out as thick as usual. I poured it into the glass and froze it for another hour and it came out great (see below). *The best way to have frozen bananas for this is just to take a banana that started to brown and chop it up and freeze it. That way when you need the banana, it will be ready! Part of being gluten and dairy free – is the excitement I get from finding these awesome recipes!!!! Totally! Makes it all the better 🙂 Glad you found it!! 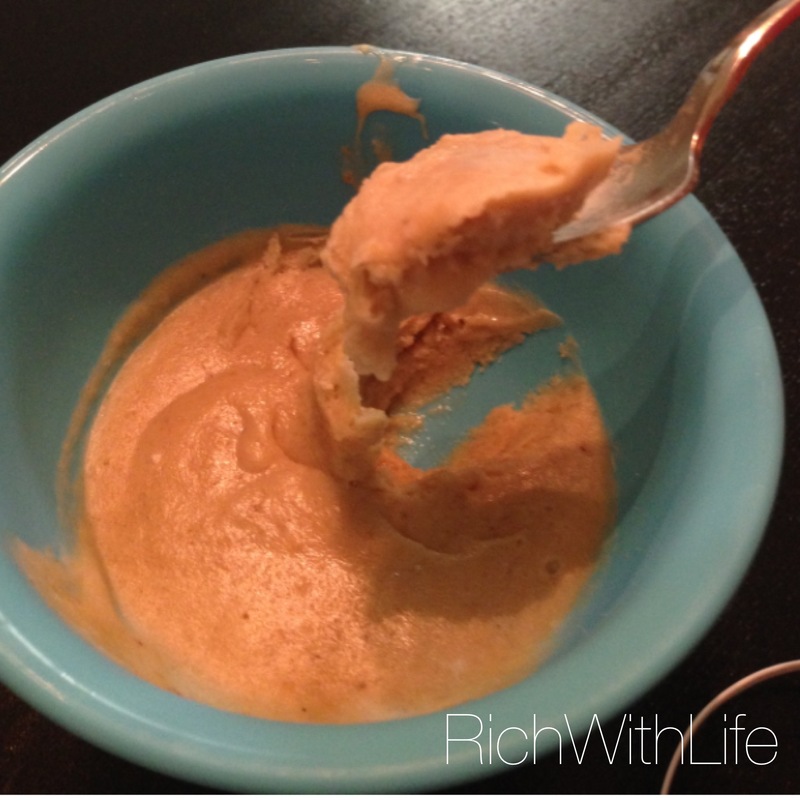 It’s an awesome recipe so easy and so quick to make too…. Wow – love this, have sent the link to my partner so we can try this one!!! !